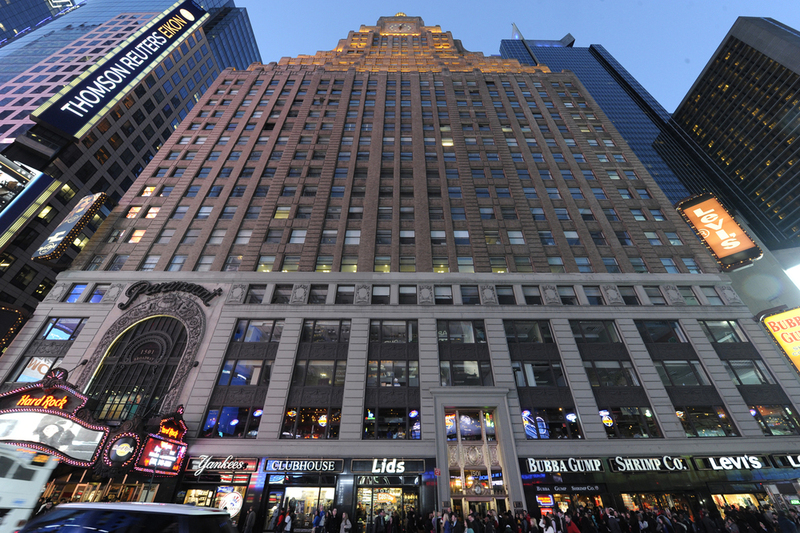 This project involved the restoration and partial reconstruction of the Paramount Building at 1501 Broadway in the center of Times Square, New York. Originally designed by the famous theatre designers, Rapp & Rapp Architects, the building was constructed between 1926 - 1927. It was once NY’s tallest building on Broadway north of the Woolworth Building and was noted as being one of the most prominent buildings in Times Square until 1966. It was then decided in 1969, by the building owners, that the theatre space would be in-filled with steel to create multiple office floors and that the theatre’s marquee and arch would be removed. Over a two-year period, the building restoration entailed the reconstruction of the original Paramount Theatre Marquee, the three story glass curtain wall and decorative stone proscenium arch surround. Restoration research came from historic photographs, mostly those from film openings where the marquee and arch served as a backdrop to the famous films that once debuted at the theatre. 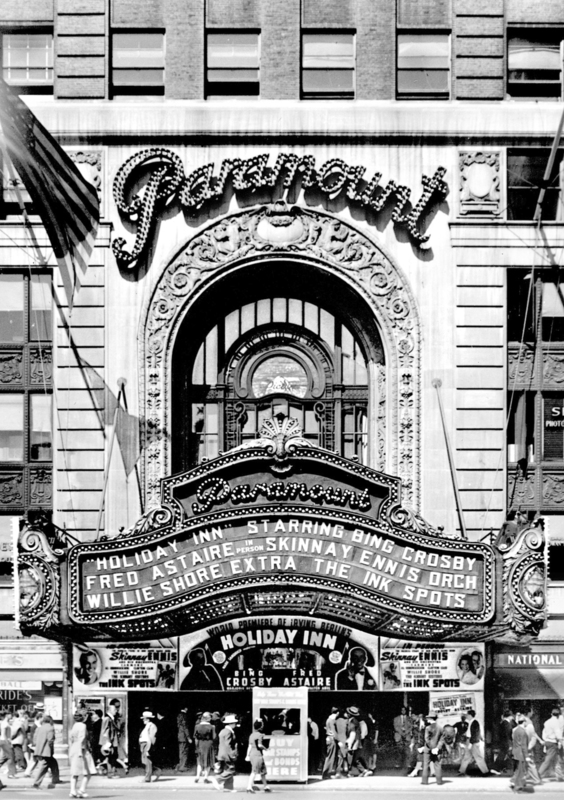 The Paramount Building once again stands proud in the center of the Theatre District with its newly constructed marquee and arch and restored historic features thirty-three years after the Theatre was demolished.